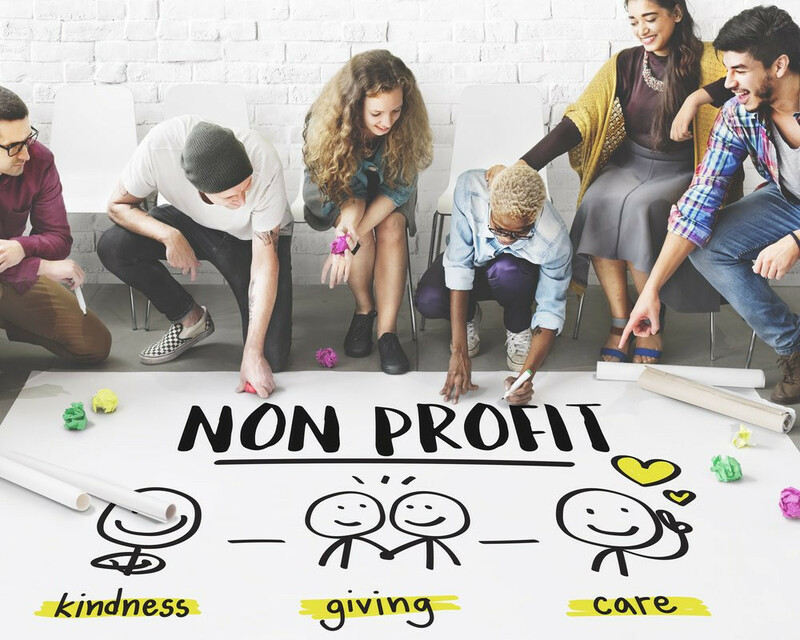 Are you starting a Non-profit Business? If you’re thinking of starting a nonprofit business there is a lot more to it than you might realize. It will be important to think things through clearly and decide if that’s really what you want. Now, many businesses start as for-profit ventures but unfortunately they become non-profit because either the business owner neglects to plan well, the economy is wavering or proper targeting of ideal clients is not done. A non-profit business is usually set up to generate funds for a philanthropic organization or effort. Because of all of the required reporting there are safeguards to prevent acts of fraud. There are a few things to consider before you jump in to a non-profit business, cautions Ken Collis, founder and CEO of TLK Fusion Marketing. Is a Non-profit The Right Choice for you? There are specific stipulations set forth for public charities that say they must be organized and operated exclusively for tax-exempt purposes you will find in section 501(c)(3) of the Internal Revenue Code. These codes help guard against fraud. Do you want to start a non-profit so that you can create a job for yourself and pay yourself a salary? If so, you might as well turn and walk toward the door. That’s right. Find another option. Where is the money going to come from to pay you? For one thing, many new non-profits don’t get grant funding anyway. They are not eligible right away. Ken Collis says, “If you have determined a non-profit is the right choice, before you put things in motion, conduct a needs analysis.” We at TLK Fusion Marketing advise clients to do some research to discover if there are other organizations doing the same or similar ventures. This means for-profit, non-profit and even government organizations. Why is this necessary? Well, it will be harder to get support if you are just duplicating existing services. The better choice would be to add to services already in business. It will also offer credibility. Find information on the demographic you will serve to determine if a need exists. If you find the need, explain how that need is not being met. If a non-profit is not the best choice, and you want to start a business, what are the other alternatives? You would probably not be considering a non-profit organization if you didn’t want to serve your community or the world with the object of your passion. But your business will not be around too long unless you can maintain a reliable income stream. Can you guess what most experts say about how many and how long non-profits stick around? About half of non-profit startups stick around beyond five years. Of those that survive, experts estimate about a third of them are in financial distress until they finally close their doors for good. There are alternatives that you can operate as non-profits with far less cost or risk. You can focus your efforts on service while you gain experience and garner support that will pay big dividends if and when you decide to form a separate entity. Begin by drafting a mission statement. This is a critical first step in any business, non-profit or for-profit, and it will put in yet another safeguard against fraud down the line. Your mission statement communicates your company’s purpose. What groups will you serve? How do you plan to serve them? Every single decision you make, and every action in your organization will support furthering your mission, reminds TLK Fusion Marketing. (At least it should.) There are places online you can learn about how to create and write your mission statement. If you have decided to create a non-profit there will be a certain kind of mission statement you will want to have. Just as a business plan is important for a for-profit business, a business plan is important for a non-profit business. There’s no getting around it. You will have to write a business plan either way. A business plan can help your non-profit describe how it intends to achieve its mission. It does so in more specific details. Your business plan can also help you to outline a new project within your business or a sub-venture. Ken Collis urges diligence in this area. Your board of directors will be your non-profit’s governing body. It fulfills a variety of roles and helps your company with legal responsibilities. In order for your board of directors to carry out these duties effectively, the directors will change as your organization evolves and grows. Recruiting the right people for the job is important, and you will also need to be concerned about orientation, training and evaluation. So it’s important from the start to cultivate the best choices for your board to ensure your company’s long-term success. Starting a non-profit is a noble desire. Non-profits do wonderful things all over the world. They help to raise money, solve problems and help do things the government doesn’t always have the time or resources to handle. If all of the details come together and you feel as though a non-profit corporation will be your best choice in business, go for it. The secret to success is in the planning stages. Take your time and do things right the first time.